What Can Trigger a Termination of Disability Benefits? Those with disabling conditions typically feel a big sense of relief once they receive the letter saying their disability benefits are approved. 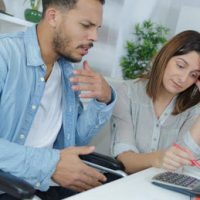 Whether through an employer-sponsored insurance policy or Social Security Disability Insurance (SSDI), the financial worry from not working is reduced. While the hard part appears to be over, keeping awarded benefits becomes a challenge if a notice of termination is issued. Insurance companies and the federal government must follow specific guidelines when seeking to terminate approved disability benefits. This means those facing termination cannot have their benefits cancelled without first being given an opportunity to demonstrate why disability benefits should continue. The types of issues that could trigger the termination of benefits can differ between those extended through insurance policies versus SSDI. Since it is possible for individuals to receive disability benefits from both sources, understanding when this money may be taken away, and how to respond when it is threatened, will be discussed below. The most common reason offered for the termination of benefits is that the claimant is no longer considered to be disabled. The definition of disability under private disability insurance policies is entirely dependent on the language in the contract, which means the insurance company has a lot of control over how the word “disability” is interpreted. Often, after long-term disability is approved but before the coverage is set to expire, the company will reevaluate the claimant and decide he/she no longer meets the definition of disabled. unable to adjust to other work due to limitations created by a medical condition. Furthermore, the disability must be expected to last for at least one year or lead to death. Thus, being awarded benefits by one entity does not guarantee approval by the other since the standards for disability are not necessarily the same. Once awarded, the recipients of SSDI benefits can have their benefits terminated if the disabling condition improves to the point he/she no longer qualifies as disabled. The Social Security Administration (SSA) reviews disability recipients on a periodic basis to determine if they still qualify as disabled, though the review is usually less stringent than the one used to initially qualify. More often, benefits terminate if a claimant returns to work, and the SSA decides the person is engaging in substantial gainful activity (SGA). Earnings above the monthly limit of $1,170 are considered SGA, except during a trial work period, and disqualify a person from SSDI benefits. Further, the SSA may decide a person who earns less than $1,170 per month is still capable of engaging in SGA based on the individual’s job duties. When an insurance company decides to terminate a policyholder’s disability benefits, there is a specific procedure it must follow in order for the termination to be legal. If the procedure is not followed, the individual denied benefits has the right to file a lawsuit seeking reinstatement. One recent example of a lawsuit filed for the wrongful termination of disability benefits comes from a woman in Miami who claimed the company did not review her case in good faith and failed to provide a reason for the termination decision. Federal law requires all employer-sponsored disability insurance carriers to give claimants prompt and detailed explanations about why benefits were terminated, as well as how the claimant may fix his/her claim by submitting additional evidence. Importantly, insurance companies must evaluate disability claims in good faith, which means they must give a doctor’s opinion sufficient consideration in the overall decision. Failure to follow these guidelines could lead a court to reinstate benefits. If an SSDI recipient receives notice the SSA is terminating benefits following a continuing disability review (CDR), the individual has the right to file an appeal and request a hearing with an official from the State disability determination office. An appeal must be filed within 10 days to keep receiving benefits during the appeal, and an appeal of this type should be handled by an experienced disability attorney to greatly reduce the possibility of permanently losing benefits. Appealing a notice of the termination of disability benefits is a situation with significant long-term ramifications, and should be handled by a disability insurance attorney to give you the greatest chance of prevailing. Farrell Disability Law represents disabled clients seeking insurance benefits in Jacksonville, Bryceville, Middleburg and the surrounding areas. Contact us today for a free consultation.